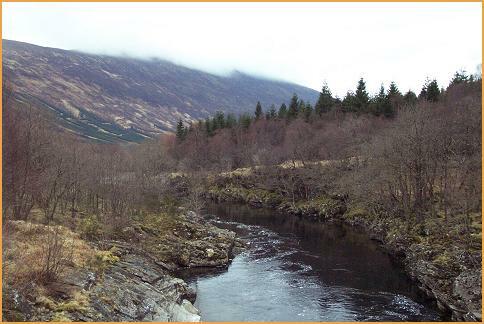 On the Sunday I was in Scotland I took a bus tour to the West Highlands, to see castles and lochs. We were driven all over the place for nine hours by a very nice and informative driver who kept us entertained with many, many stories of Scottish history and battles, interspersed with selections of Scottish and Celtic music. It was a very interesting experience and besides learning a great deal, I got to see a lot of the beautiful Scottish countryside. Above is a place called Glenorchy. Ruins of Kilchurn (pronounced "kill-URN") Castle, at the head of Loch Awe. 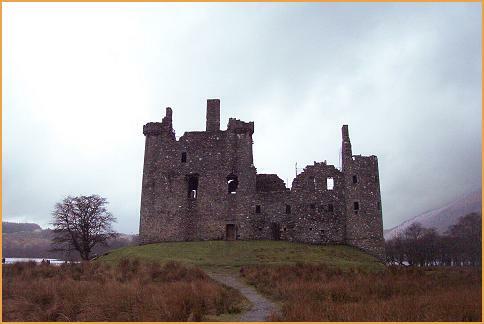 Built in the 1400s, it operated as a defensive stronghold for the local clan chief. I learned that older castles were primarily utilitarian in nature, mainly for defense. 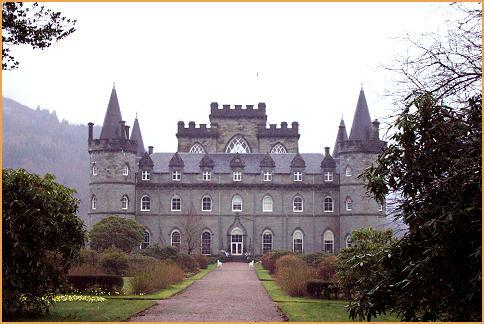 Later castles, like Inverary Castle below, were built so that the nobility could have a nice place to live. 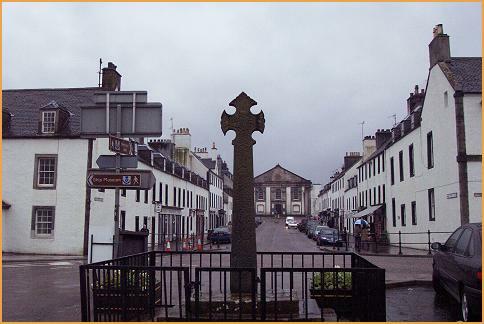 Inverary Castle (above) and the village of Inverary. One of the highlights of my tour was visiting Loch Lomond. Ever since I heard Judy Collins' version of the great song "Loch Lomond" I've always wanted to visit. I was slightly disappointed that the weather did not cooperate, and the "bonnie, bonnie banks of Loch Lomond" weren't so bonnie, bonnie. But the tour guide told me you can't have a truly Scottish experience without a little bit of "dreich", which means damp and drizzly weather. 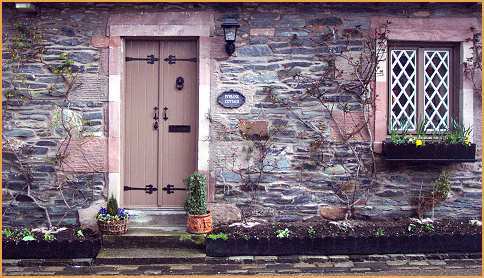 I was rewarded, however, by these photos of two huge swans against a steel-grey sky and lake (above) and a lovely little cottage in the village of Luss (below).